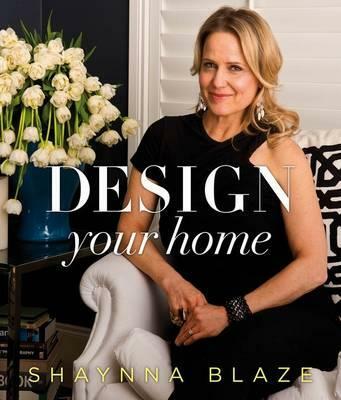 If you have had the chance to read through on of my last blog reviews of the new book by Shaynna Blaze, Design your Home, you would have seen my promise to my lovely readers to do a separate blog on her chapter about the Universal Rules in the home. I loved this chapter so much and thought it would be so useful I decided that it needed its own separate review. 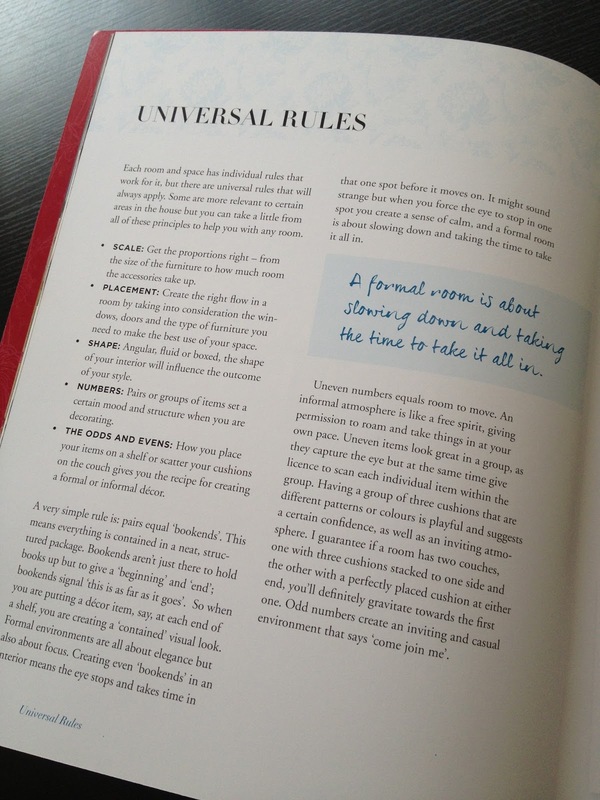 This chapter talks about the universal rules that apply to each home, whilst each person is different and likes to style their homes in different ways, if you stick to the universal rules your home will always be amazing! Shaynna discusses one of the rules being Odds and Evens. You can reference this rule to placement of items on a table, bookshelf or even in your kitchen or bathroom. Shaynna however goes into more details with Odds and Evens when it comes to the cushion placement on your lounge and the different between formal and informal. You can see from the image below that the placement of even cushions on the above lounge gives off a more formal approach to your living area, they are like bookends and refer to a beginning and an end. However from the photo in the middle of the above picture you can see the cushions has been placed to one side therefore being an odd number and give off a more informal and free spirited atmosphere. It depends what kind of look and feel you are going for in your lounge room but it is amazing how much just the placement of cushions can effect you and your guests. Shaynna goes further into some of the other rules being; scale, placement, shape and numbers. 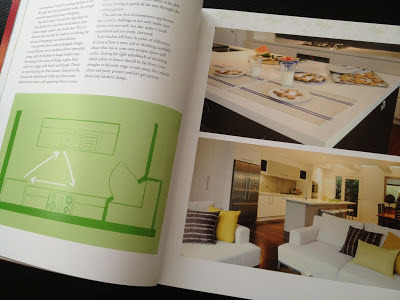 Feng shui is also a principal that I have many owners ask me about, whether to adopt it or not. In my person opinion there are some feng shui practices that I adopt on a regular basis, but others that I tend to ignore. For example in feng shui the front and back doors of a home should not line up, this is said to cause qi to leak out along with your good fortune. I know you're probably thinking, what does Qi mean, Qi means energy or life breath and is said to be linked to prosperity. I strongly agree with this principle and would definitely make sure I put some sort of barrier between my front and back doors should they line up. Another principle however states that leaving the toilet door open and the toilet seat up loses you money. I cannot see how this could possibly work! However all of the ladies out there should definitely try and convince their husbands of this principle, try and get him putting that ugly toilet seat down instead of losing money! 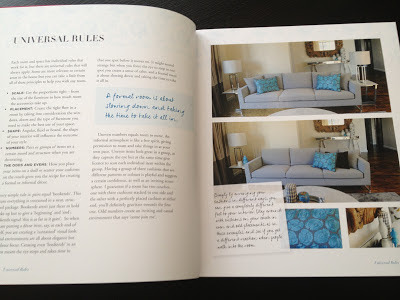 Shaynna goes further into setting out the rules of size and placement of furniture to ensure that there is enough space, height of artwork etc. It is a must read, especially to find out if your home is abiding by these universal rules. To pick up this great book for yourself click on the following link which will take you directly to Ebay! 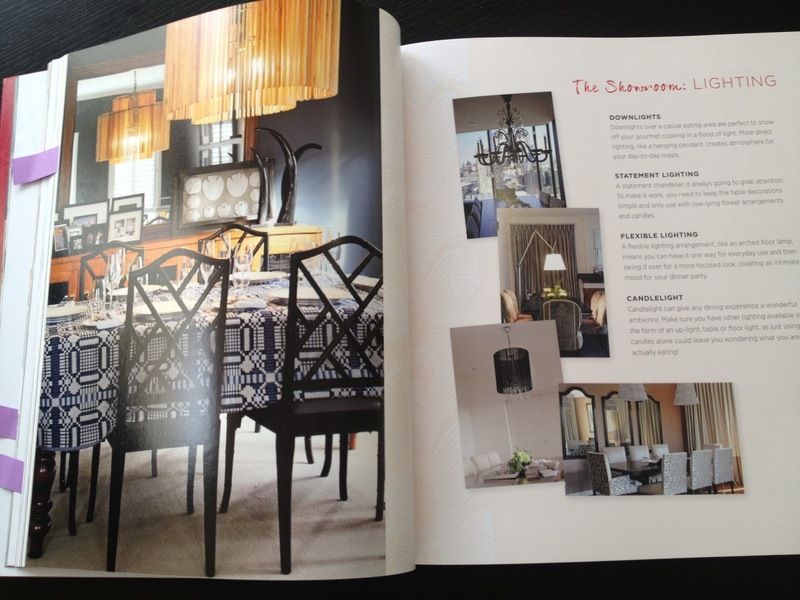 It is definitely a book every home owner should have on their shelves. So a few years ago my then boyfriend (now husband), Ben, and I decided that it was time to take the next step in our relationship, we had been saving up as much money as possible and thought it might be a good idea to start investing in property. I was looking for a cute little home just for the two of us while my Ben was looking for something a little bit different. So we weren't really on the same page when we started looking. Our weekends took us through multiple homes that just didn't suit either of us, apart from the fact that we were looking for different things. 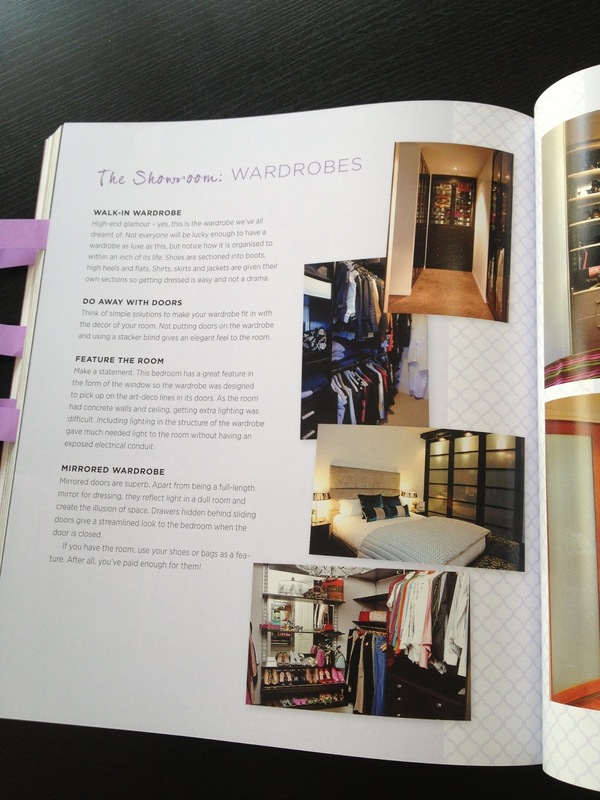 Some of the things that were important to me, like 2 bathrooms, a decent wardrobe and a gorgeous little kitchen area were not even on Ben’s must have list. Ben was looking for something older, something with a big backyard and of course something with potential....even if he struggled to see it. We came across a little home built in the 60’s that was basically in its original condition. It had a large backyard and a lot of potential. Ticked all the boxes for Ben, but unfortunately wasn't a home that jumped out at me. We chatted a lot about this place and discussed the potential it had and what we could do and I finally agreed that this could be a good investment for us. So here is what we bought....(please excuse the poor light in the photos...they were taken at night time). Bathroom...this room had grass green carpet! Separate toilet...note the brown carpet! Separate shower....arrgghhhh the wallpaper in the hallway that you can see was a nightmare! Our lovely lounge room...don't you just love the velour green curtains. Our amazing kitchen..please excuse the mess, we had already started our days of work. I can’t thank my family enough for spending the first month of ownership of OUR FIRST HOUSE helping us peel off the wallpaper and go through the incredibly awful process of getting our new house ready to move in. As we were all working full time already it took weekends and weekends of us steaming the wallpaper off, fixing the cracks in the plaster, pulling off the wooden boards on the walls and of course throwing out the terrible curtains and carpets. We had to transform this ugly house into our home. We have now been living here for around 4 years and can I say it looks 100% better than when we took our first steps in the front door. Over the years we renovated the bathroom and kitchen, put new blinds up had the hardwood floors polished and performed a lot of maintenance. When we were deciding what to do with the place we landed on leaving it as neutral and basic as possible, after all we had only planned on living here a few years and then moving out. All the colours were basic, except for a few feature walls that we painted before thinking it through, the kitchen was designed to be as neutral as possible and the bathroom was modernised with new fittings and fixtures and a new set up but again very neutral. As you can see from the photographs above there was a fireplace in the living area, together with a large entrance way and a wall full of windows, this basically only gave us one usable wall. The house had ducted heating and the fireplace heater was broken so we decided to cover it up to give us more usable wall space. I know you are probably thinking from the photos above that we don’t have matching couches. I know I know, I hate it but when we first moved in we didn't have the money to spend on getting new couches so we borrowed from family. We decided we could live with them for a few years until we bought a new place and then purchased a new fantastic lounge suit, well that few years have now dragged out to 4 but should be ending very soon! Please excuse some of the mess in these photos. I have not styled the place ready for photographs, I figure I am opening up my house and my life to you, I may as well show it the way it current is. There are still things in a lot of these rooms that are not finished so maybe when they are I can show you our place in its full glory. 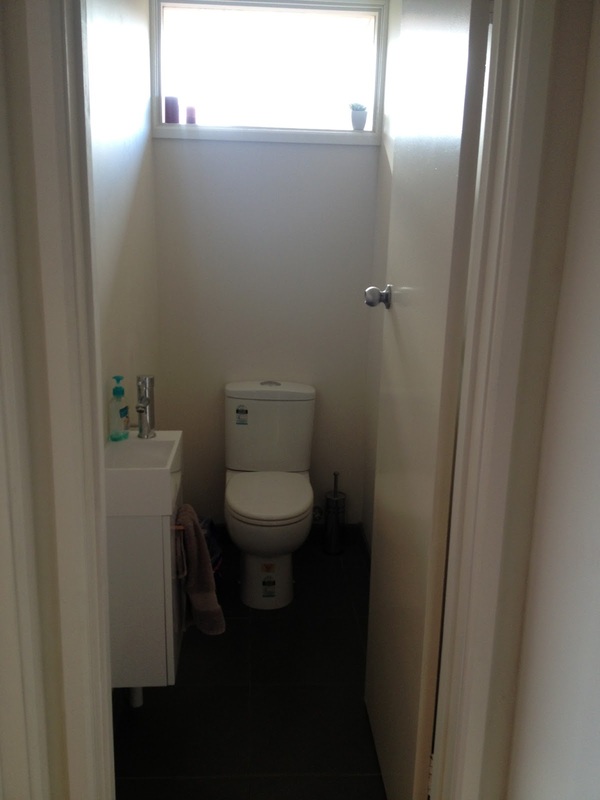 The previous owners who I believe were the builders of this property had enjoyed the lovely set up of a bathroom which included a vanity and bathtub, with a separate toilet and a separate shower! 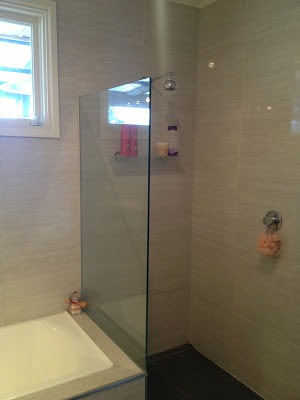 The shower room was a decent size but when we were renovating....it had to go. We had to bring this place into the current century. So we knocked out the wall between the toilet and bathroom and moved the entrance door. This gave us a nice big bathroom. We then turned the shower room into the toilet and moved the shower into the bathroom. An expensive process but definitely paid off. When we did the kitchen as well we had to knock down a wall and open it up. It was a very dark room with wood basically everywhere. There was only a doorway leading into the kitchen so with the wall timber and flooring the room was very dark, you could not walk in there without turning the light on, no matter what time of the day it was. We had to lighten it up a bit and open it up into the rest of the house....the end result. There are still so many things that we would like to change or may do differently next time but from where we started our place looks amazing. I certainly can’t take all the credit for what we have done but I must say....we did a damn good job! A few months ago when we decided that the house was basically finished, except for a few bits and pieces, we decided that it was time to take on the next job, and that was .....subdivide the block and build a house in our backyard. That however is a whole new story so you will have to stay tuned for how that has all gone. I must say though, it is the most amazing feeling to know that when we first bought this house, we had decided that it was a good investment because we could do exactly that....renovate the front house and build one behind it. To know that we have actually completed our goals and can see the final result is perfect, stressful and difficult, but perfect! Since living in this house our lives have taken on so many different roads, we got married....the most amazing day of my life, we have both started new jobs and my new business and now we are so very proud and happy that in the next 2 months we will be expanding our family and having a little baby. The next two months cannot go any quicker. So renovations...marriage...holidays...new jobs...finding out we were pregnant...then starting to build a new home. The plan now is to have the baby.....buy a new home...then start all over again! Don't worry, i'll keep you updated on our subdivision and our future renovations. The first chapter is called Universal Rules. I am not going to go into much detail about this chapter as I think it is a fantastic chapter and deserves a blog post of its own.....so keep an eye on my blog for that one shortly. Then Shaynna goes on to one of the most important rooms in your home...the Kitchen. She provides you with some great examples of how to set up your kitchen using not only style but function and explains ‘the working triangle’ theory in detail. The one thing I really like about this book is that Shaynna focuses on the readers life and lifestyle and what works best for you. She talks about the different functions of things like a dining table, whether it is used as a formal adult only room, a storage table, a desk or for your dinner every night. Her advise if based around the general use of each room in your home and not just around what looks best in what lighting. Further into the book Shaynna discusses the other most important room in your home, your lounge room. Now unlike most designers and stylists she even provides recommendations about television placement. Most designers and stylists are not the biggest fans of a television. 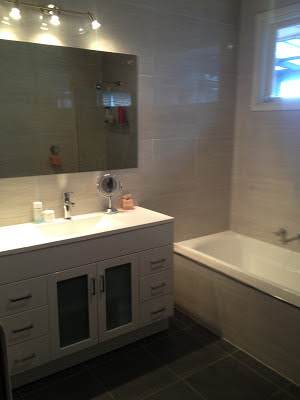 It is basically an ugly box that you have to introduce into your room somewhere whilst maintaining the style and class that you have worked very hard to achieve. But who doesn’t have a television. At the end of each chapter she sets out the Rules Round Up. It is a great set of rules that she has discussed in the chapter which sums up perfectly what you need to do. My favourite chapter however would have to be the bedroom chapter. 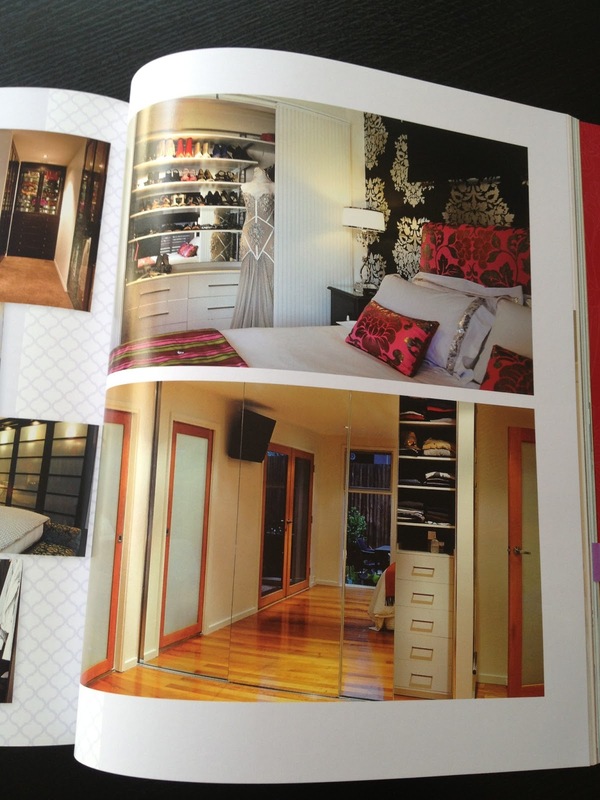 Shaynna has a certain way of styling a bedroom that can be very inviting but sometimes, in my opinion, over done. 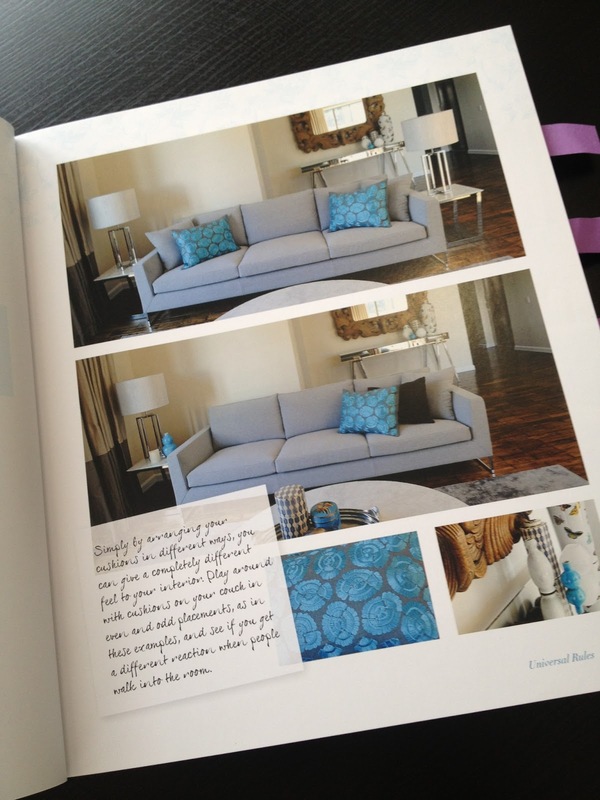 She talks about furniture placement incorporating the feng shui principles. 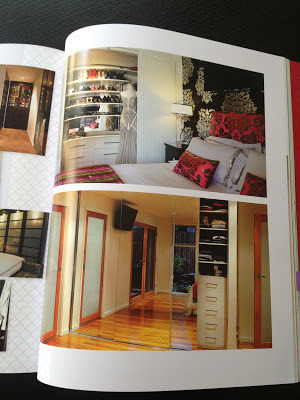 And of course who can forget the best room in a home....the wardrobe! Her different set up options and space saving techniques are fantastic, a page not to be missed in this fantastic book! With the final chapter talking about the Home Office and the different areas in a house that can end up being the home office she assist with different techniques to hide those unsightly cables and paper work and shows you options of where to draw the eyes. 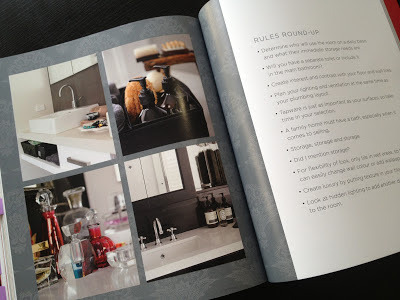 Overall I think Shaynna has done a great job at setting out the rules and provide ideas for the everyday home owner to make their home perfect for their family using not only style and function but practicality and ease. 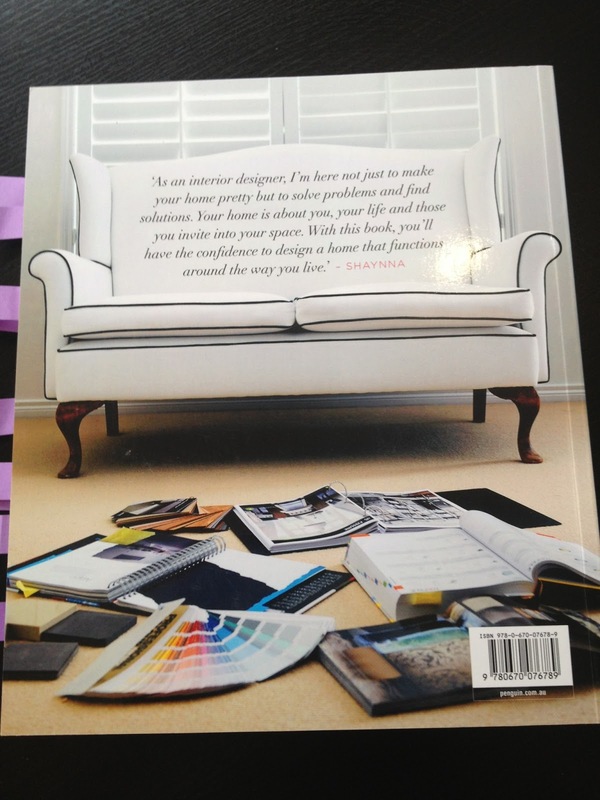 Be sure to pick up this book if you are renovating, building or even buying a new home. There is a lot to think about and even more fun pictures to look at. Happy reading everyone and stay tuned for my blog about the Universal Rules chapter! I am absolute awe of this amazing house that I found when I scrolling through some amazing blog sites. First seen on Stylish Eve, have a read of some of their comments below, amazing! I want to live here! ''A lesson well taken from architectural cubism, this contemporary styled manse in Beverly Hills California embraces all the amenities to enjoy an affluent sustainable lifestyle. The first on the block to be designated under the city’s green development ordinance, Whipple Russell Architects continues to establish themselves with their trendsetting design on the Summit House project. For a little under 30 years, Marc Whipple’s architectonic dream has thrived in the Southern California market, and it is a little wonder why they were commissioned to bring this homeowners’ fantasy to the light of a sunny energy efficient day. Efficacious glass enclosures mark the unpretentious esthetic necessary to pull off this modern natural habitat with sloping green hills and neutral exterior. The reflective quality on the walls allow for full use of natural lighting during the day, and privacy at night. Additionally, being a “smart” home, the owners are given the use a pc central control system that allows them to set the shade levels on the exposures throughout the home.'' Published by Stylish Eve. "The interior of the home continues our high-tech journey through the hills of Beverly. Blue and red accents are extremely appealing against the grayscale color pattern. All through the home, the design team was able to mirror the characteristics of the existing wall art. An energetic and warm element is so extensively present that hard lines are not known to provide.'' 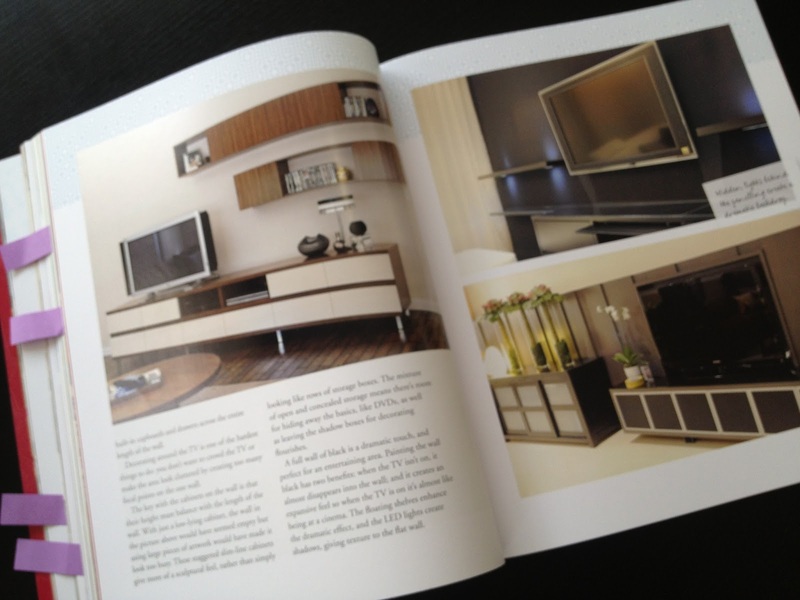 Published by Stylish Eve. ''The shade control becomes conveniently accessible, when the exterior wall of the master bedroom is made up of crystal clear glass. Contemporary in design, but humble at heart, the master bedroom houses a capacious seating area with a good view of the swivel flat screen television atop a beautiful urbane chest.'' 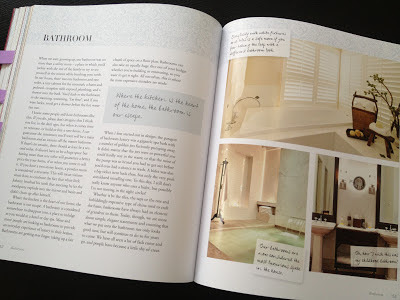 Published by Stylish Eve. ''The relaxing private areas should never be less energetic than the common areas. Kiwi or silver gray flooring brings a calming force in a bedroom space. 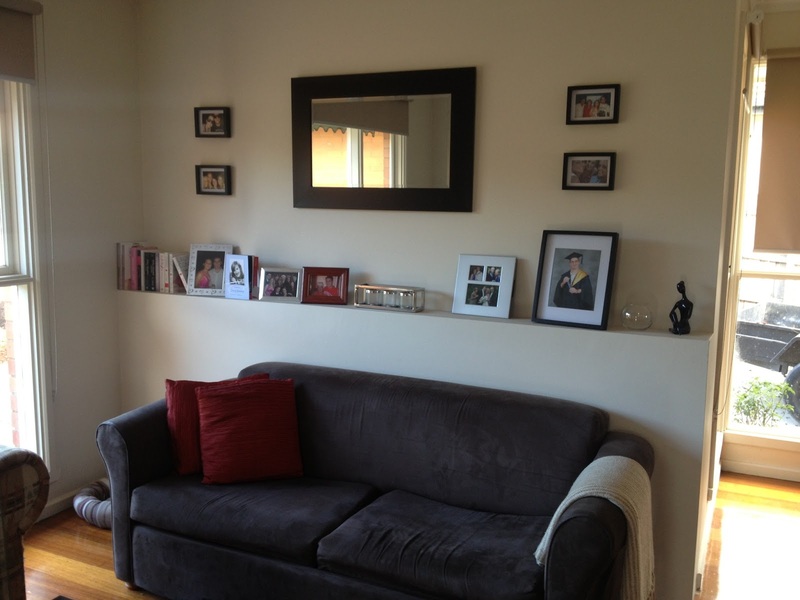 Shelving allows for functionality, and small seating areas take care of the transitioning section of the room.'' 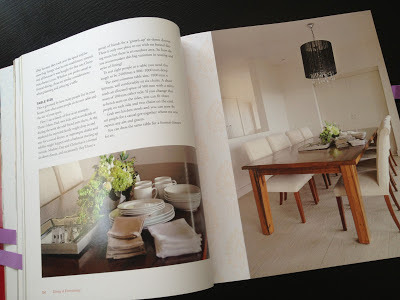 Published by Stylish Eve. 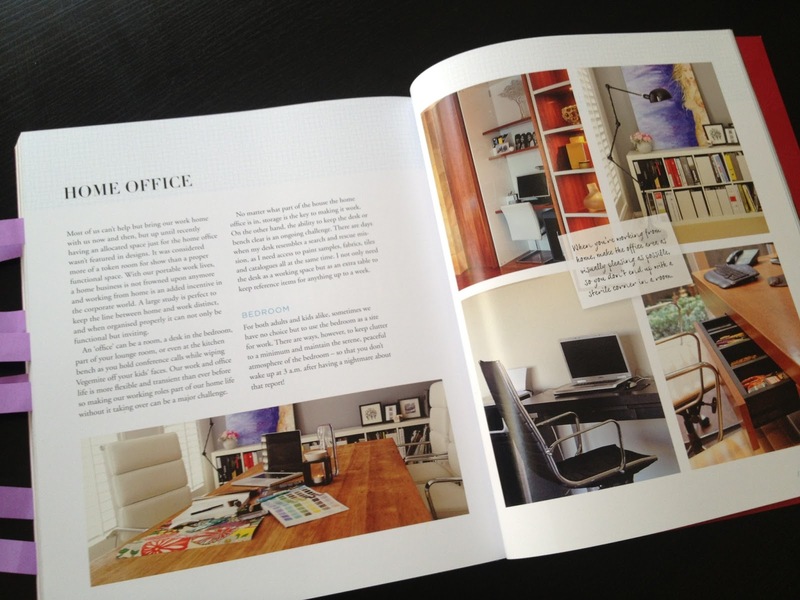 First Published by Stylish Eve.